Costco is known for huge quantities at great prices. There are lots of not so good choices at Costco (think frozen egg rolls, monster bags of chips, jumbo muffins as big as your head, etc. ), but there are lots of good choices there, too! 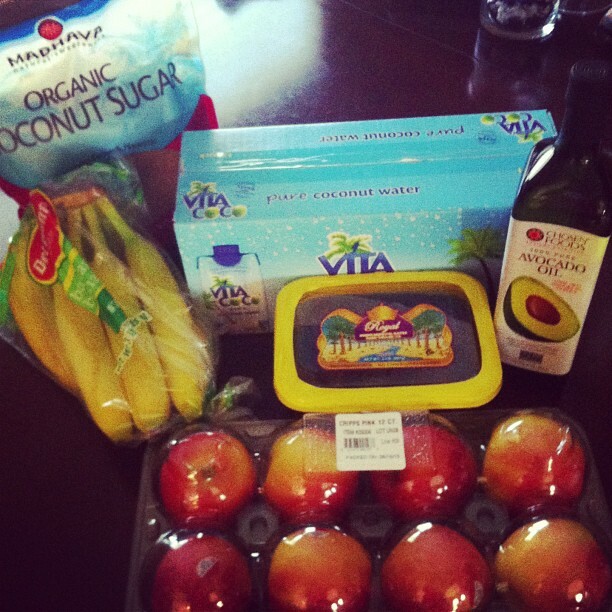 I love Costco for many things, including pet supplies, produce, laundry soap, meats, household items, & water bottles. If you're shopping for a small household, I recommend finding a partner for your trips to Costco. I usually go with my mom, that way we can split things. It allows you to take advantage of the great deals without having too much food (especially when it comes to fresh items that will go bad before you can get to them!). Raw, steamed, or sautéd. Great source of non-dairy calcium. I eat them on salads & straight out of the container for a snack. Love them roasted in the oven-- Check back for a recipe! Great for salads, & perfect size for lettuce wraps (try my Chicken Taco Lettuce Wraps). Tasty cooked in sauces & soups, or raw in salads or snack bags. All natural, tasty, & SO many ways to use it! I can feed myself for a few days on this $4.99 chicken. 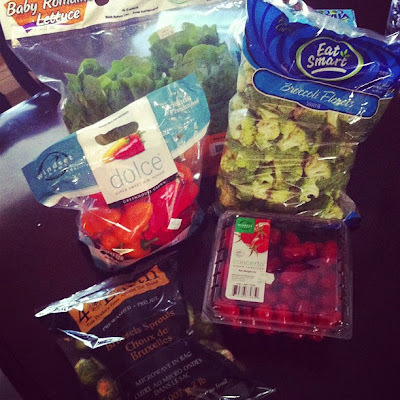 Check the rest of my blog for recipes! 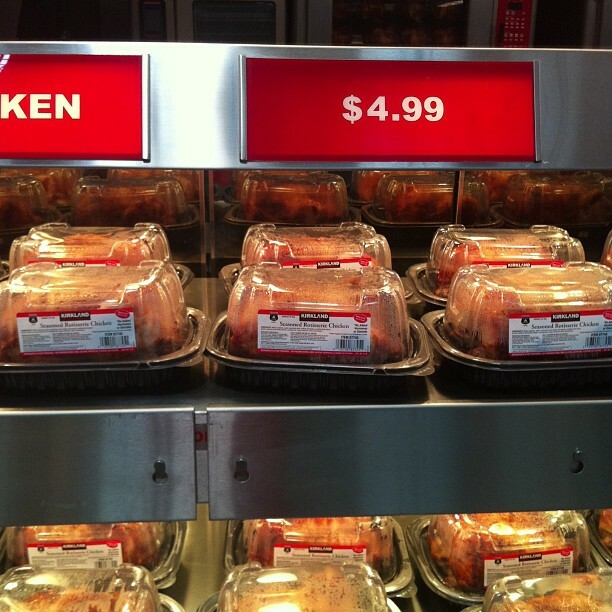 Better than farm-raised, at an excellent price. 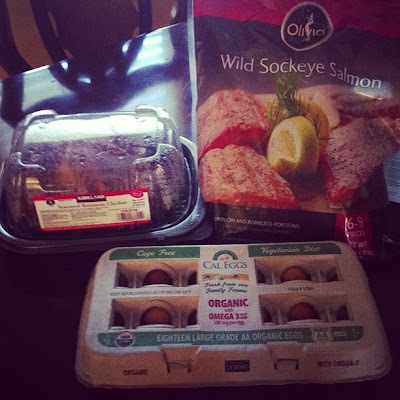 Click here to see my recipe for Lemon Pepper Salmon two ways! These contain Omega-3s & are a great price. Always good to have eggs on hand. Great all-natural sweetener that has more nutrients & a lower glycemic index than regular sugar. I plan to bake with this & use it to sweeten my coffee. These small cartons are perfect for on-the-go, & come at a great price. These ones are pitted, which saves a step when making Homemade Coconut Cream Pie Larabars! My favorite! These are a large size & great for snacking. I hope you find this helpful! Let me know if there are any items you would like to see recipes for. And tell me-- what good finds have you come across at Costco?! 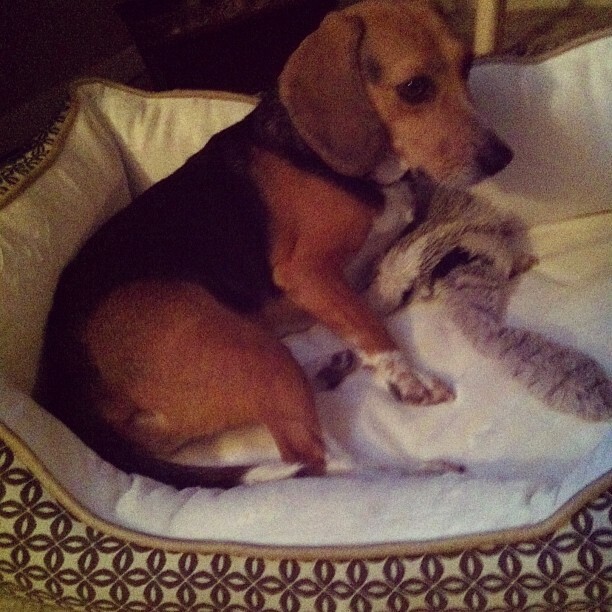 P.S.~ Even Tucker got something good... a new bed! I also buy Hemp seed hearts, full of nutrients, which I add to my banana egg pancakes, and other things. Chia seeds and quinoa are also much cheaper at Costco. Ooh, great ideas! I've never tried chia or hemp seeds, but have been wanting to! I'll have to check them out & come up with some recipes. :) Thanks for commenting!